A loan of $675 helped to purchase construction supplies in order to expand the business. Anjali is a 51-year-old married woman from a small village of Jalpaiguri district, West Bengal. She has a three member family and a monthly household income of INR 10,500. Anjali is a housewife and her husband works as a mason. He does construction of houses in the neighboring areas. He has been working as a mason for many years now. It is the main source of income for the family. Anjali has a son who is attending a nearby college. The income is barely enough to cover the family and educational expenses of her son. 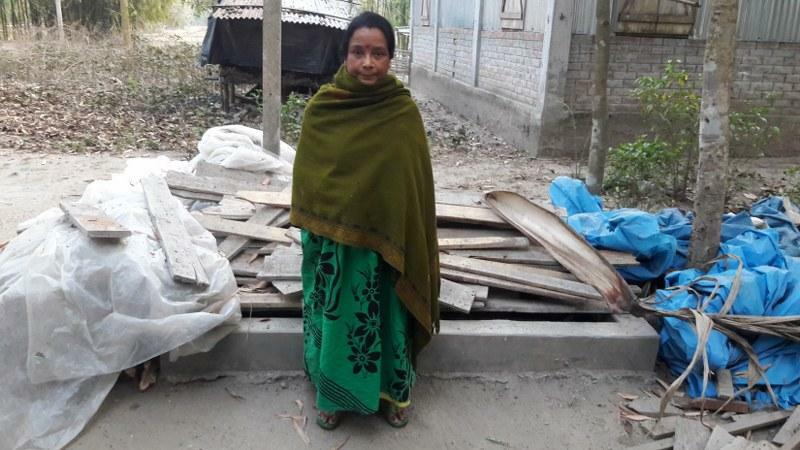 Therefore, Anjali wants to support the family business by purchasing construction supplies such as planks, bamboo, ropes and other tools to expand her husband's business. She has applied for a loan of INR 45,000 from BJS, one of Milaap's field partners. She and her family will be thankful to lenders for their support.